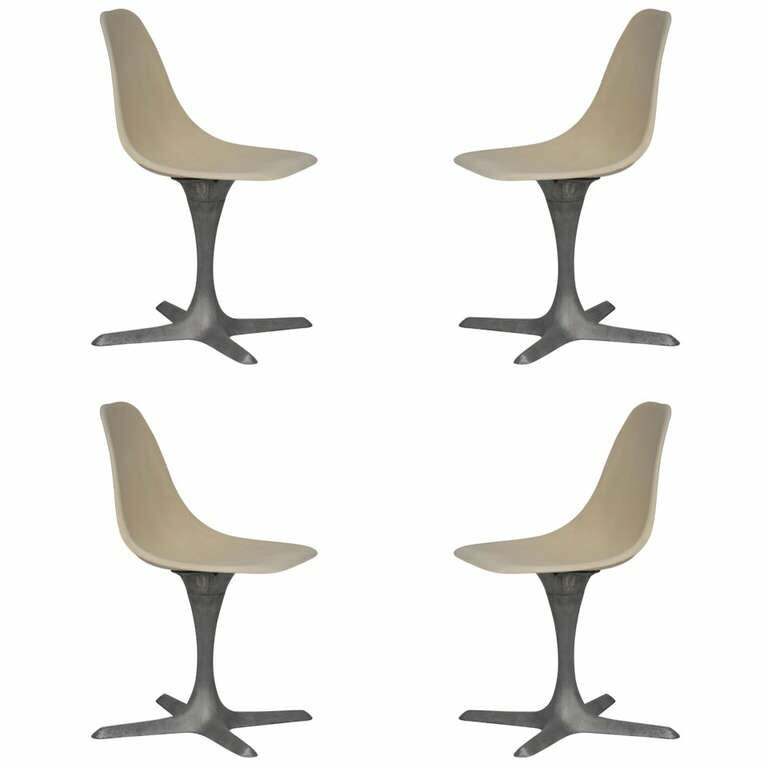 Set of 4 American 70's brushed aluminum and eggshell chairs by Burke, Inc. of Texas. Stamped BURKE, INC. DALLAS, TEXAS. 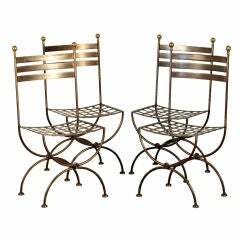 Great for a small dining room or a breakfast table. 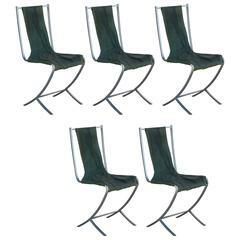 Set of 8 unusual modernist dining chairs. 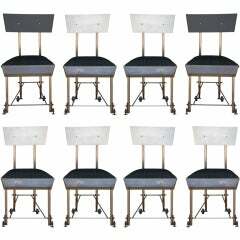 Host and hostess chairs with painted wood back, 6 side chairs with aluminum back. Custom commission. 19 in. seat height. 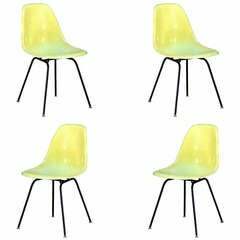 Set of 4 Vintage Eames Chairs by Herman Miller. All original, not a recent edition. Stamped under.